If you have ever hired a locksmith service to make transponder keys then you already know a little bit about the process. When it comes to transponder keys, some of you might be thinking why these keys usually cost more than regular keys. Automated keys can be divided into two groups i.e. non-transponder keys (flat metal keys) and transponder keys. Flat keys or non-transponder keys have cuts on the tops and bottoms which operate mechanically and the cuts match up with the tumblers in the lock allowing the key to turning. On the other hand, transponder keys are built inside your keys in a component. These are different from the automotive remotes used to lock and unlock the vehicle. Some transponder keys are also built separately to the keys. Transponder keys originated in the early 90s. In that time, the insurance industry supplied the automobile manufacturers with the statistics about the increasing car theft rate. The insurance providers emphasized that if the automobile manufacturers did not act to cut down the theft rate, they will not be able to affordably insure new cars. Since then, almost all the new cars are operated with transponder keys. Some companies are also using transponder keys in commercial industrial locks. The transponder keys are a part of the car’s anti-theft system. There’s a microchip inside the plastic head of the key that receives a signal from the car through the ringed antenna around the ignition cylinder. 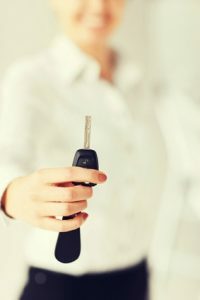 The key will not allow the vehicle to work unless the computer inside the car receives the correct response from the transponder key. Most of the recently manufactured password transponder key systems work with an encrypted code or a rolling encrypted code. This code is an algorithm and it is designed to involve the car’s transmission of a six digit number and the processing of the code to formulate a diverse response. Here is how this whole process takes place: the key is turned and the car transmits a number. The internal algorithm processes the number and if the key has been programmed correctly, it will respond and allow the car to start. Some other simpler chip key types are programmed with an identification number which is recognized by the car. The keys working with Vehicle Anti-Theft System (VATS) contain a resistor with 1 of 15 possible preset resistances. Even if the key is cut correctly and it turns the cylinder, it still requires the correct amount of resistance in Ohms, which is only supplied by the resistor. When the fabricated key fails to provide the resistance, the car shuts down completely for 3 to 4 minutes. Within this time, even the correct key will not be able to start the car. This is the complete procedure how the transponder keys work. It is a good practice to have transponder key system in your car if you don’t have. It will ensure more safety to the car and keep it from potential thefts. Besides other safety measures, this can be a complete safeguard for your car. How Do Transponder Keys Work? https://carkeyssanantoniotx.com/transponder-keys-work/ 4.1/5 based upon 23 reviews.